Science-Fiction is a genre where the component parts are often more interesting than the whole. 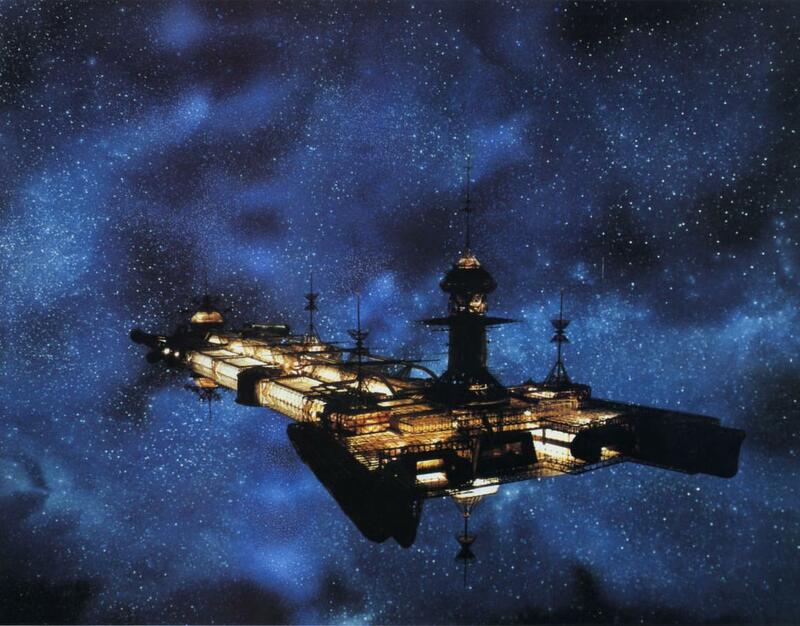 My blog is a prime example of this – I often post images from movies which aren’t really ‘great’ but the stylings and aesthetics often are – case in point here with the USS Cygnus from the Disney movie The Black Hole. I’ve re-watched the movie a few times and yeah, it’s not great but there are a lot of great things about it. The soundtrack by John Barry (of James Bond fame) is excellent, epic and ominous – check out the theme here and a personal fave ‘Durant is Dead‘ – the moment in the film where it gets really dark and urgent. The effects – while often pretty shonky have some real stand-out elements – the backdrops star-fields are often a luminous dark blue, more like the depths of the ocean than the standard cover-up-the-wires black and the main ship – the USS Cygnus is pretty much unique in science-fiction in it’s design – like a flat, Gothic oil-rig – or sometimes described as a Cathedral. It’s completely different from the flat-grey, battleship-style popularised by Star Wars (those built from Airfix kits) – it’s as if the ship doesn’t have a ‘surface’ at all and before it lights-up (from within) it’s completely black. 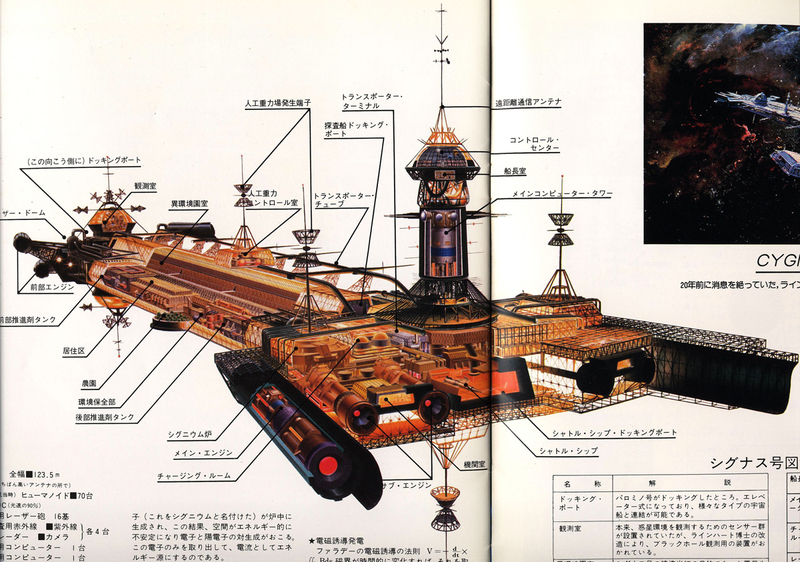 If you check out the Japanese sci-fi art below you can also see that some attempt was made to reconcile the interior and exterior structure of the ship which is pretty rare. Looking at that diagram of the layout and knowing the film you can see that the crew’s movement around the ship actually makes sense. 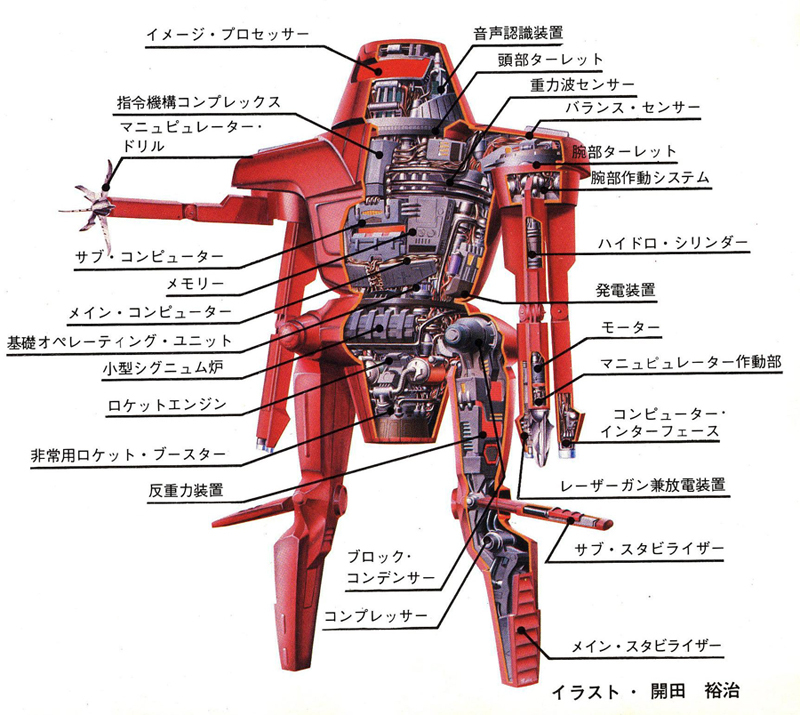 Another standout in the design is Maximilian – the menacing robot-henchman of the evil-genius Dr. Hans Reinhardt. He looks like an American football player made out of lava and guards his master with the zeal of a pitbull terrier – his red ‘eye’ a permanent, malevolent glare as though he’s constantly thinking of nasty ways to kill people. Unfortunately this was a Disney film and even though he does some very bad things with an ‘egg-whisk’ in his arm it’s a shame he couldn’t really live up to his looks (reminds me of Darth Maul in the Phantom Menace) and in the end he’s undone by the flying-dustbin Vincent – a robot who makes C3PO seem like a fun guy to have a conversation with. There’s talk of a remake – which could be a really good thing. 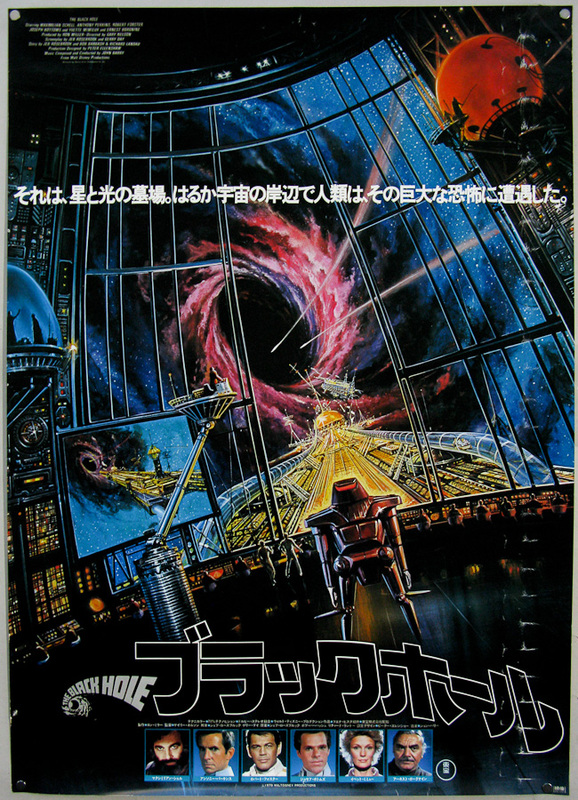 I did my own re-cut of some of the visuals with a piece of my music which plays up the ominous tone and stays outside of the ship and here’s some posters for the movie – beginning with the Japanese version which makes it look even more awesome. 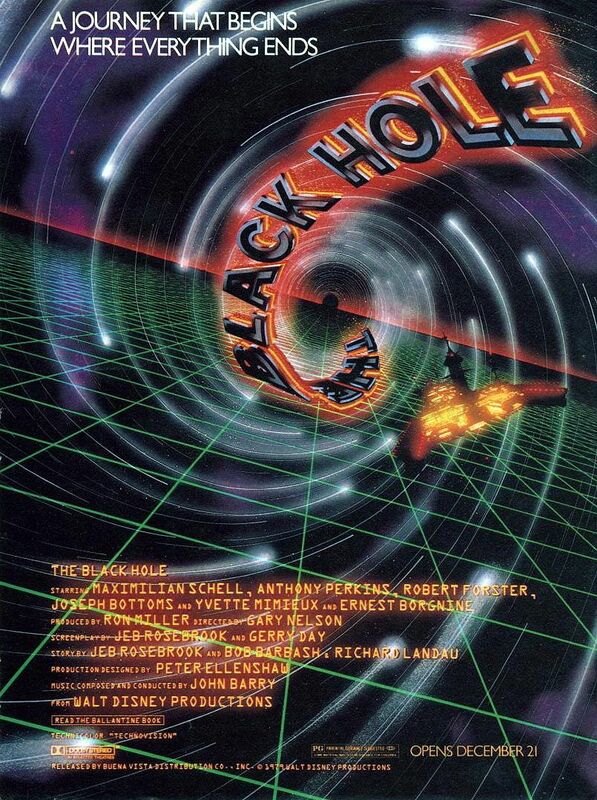 It may be a bit dated now but The Black Hole was a lot of fun at the time. I always wondered whether Maximilian the robot was named after the actor playing his creator, Maximilian Schell, but I guess it was just coincidence. Yeah pretty sure you’re right – I could never separate the two which I guess is what happened at the end. I loved this movie when I first saw it. I was 15 (a rather young 15, as we all were back then). Our theater had installed a Dolby sound system, and I remember this being the first film where I actually noticed the sound coming from different directions. Also, the ouverture played before the film started (house lights nly dimmed, curtain closed). 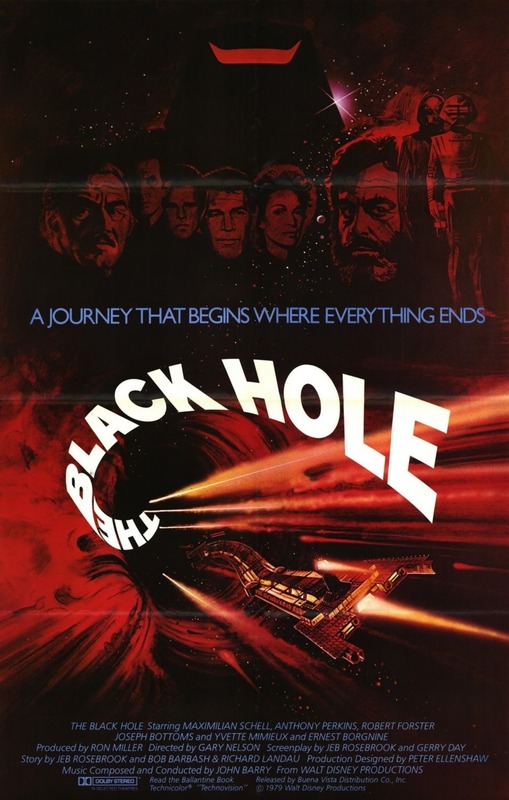 The design of the Cygnus was breathtaking, and so was the maelstrom of the black hole, whenever it was on the screen (accompanied by a deep rumbling sound). Alas, the film has not aged well. I guess now it doesn’t even impress an 8 year old. I watched it again years ago, and the magic was gone. But I still have those fond memories. I think this phrase is one of the best sci-fi genre descriptions I hafe EVER found.